A Madison favorite–from ramshackle bars and luxurious ballrooms, on high festival stages or on bare sod, Yid Vicious often drives crowds into flurries of freylekh-fueled dancing fury. 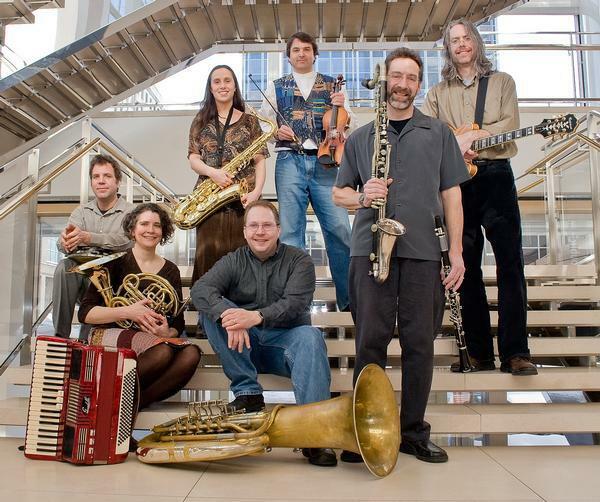 With repertoire drawn mainly from traditional secular Yiddish music but infused with their collective aesthetic and experience, celebrating the long-standing tradition of klezmorim but incorporating new musical ideas into an organic and ever-evolving art form. Yid’s musical arsental consists of clarinets, saxophones, fiddle, horn, vocals, guitar, accordion, tuba, drums and sometimes theremin.